Home / Fixer / Game Development / Nightlancer / Playtest / Fixer playtesters needed! 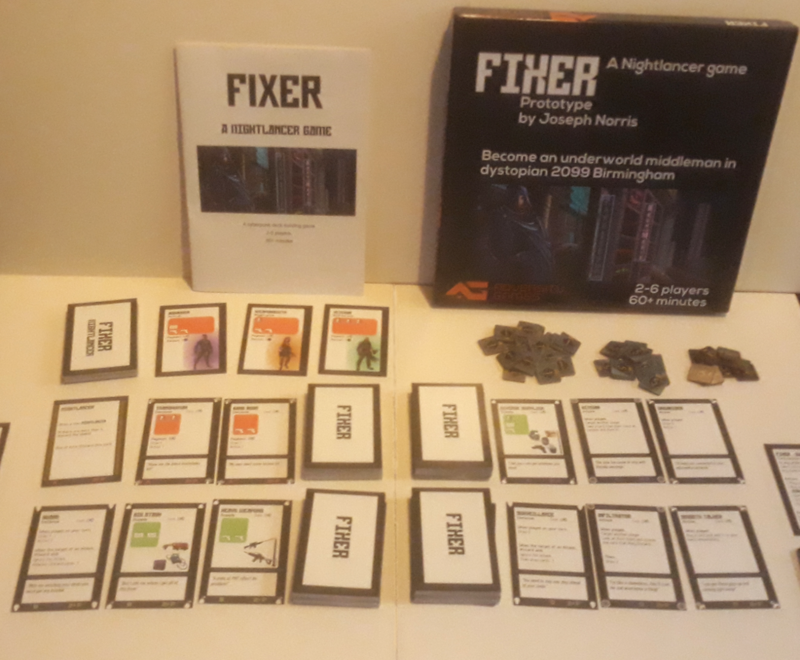 This is the new prototype for Fixer, printed by Ivory Graphics based here in the UK. They produce good quality print on demand games with a decent range of components. I’ll be sending out prototypes soon to eager playtesters, if you’re interested in trying out prototypes from Adversity Games such as Nightlancer, Fixer or Kickboxer get in touch.